Transfers are carried out by authorized NCC TAXI vehicles. * Taxi From Catania Airport to your Hotel / B & B. 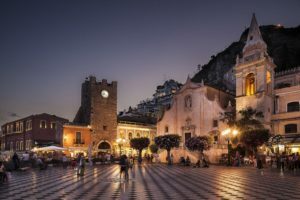 * Taxi From Your Hotel / B & B to Taormina (ME) 3 hours with a stop. * Taxi From Stazione Giarre-Riposto to your Hotel / B & B. * Taxi From Your Hotel / B & B to Acireale with 1 hour stop. * Taxi From Your Hotel / B & B to Catania Historical Center with a 2-hour stop. * Taxi From Your Hotel to the Alcantara Gorges with a 3-hour stop. * Taxi From Your Hotel in Syracuse with a 6-hour stop. * On request it is possible to transfer to other places in Eastern Sicily.